Chervil plant, Anthriscus cerefolium, is traditionally used by the French in spring soups, salads (especially potato) and omelettes. Leaves have an exquisite subtle flavour which is synergistic to the flavour of parsley. Young leaves may be harvested and frozen for future use – do not dry. 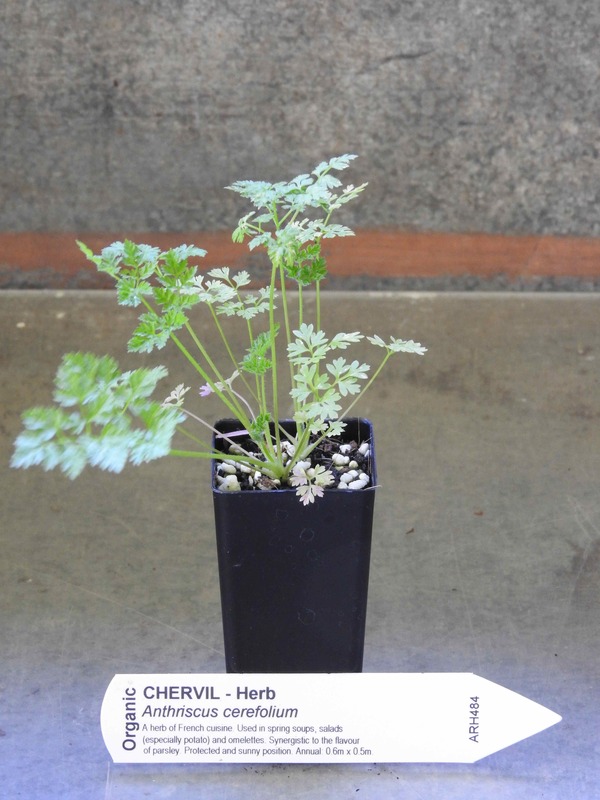 Chervil plant is native to Europe and Asia and will grow in any good garden soil, prefers a protected sunny position. Frost resistant but drought tender. An annual, growing to 0.6m x 0.5m. White flowers in summer. Sow spring or late summer. Be the first to review “Chervil, plant” Click here to cancel reply.